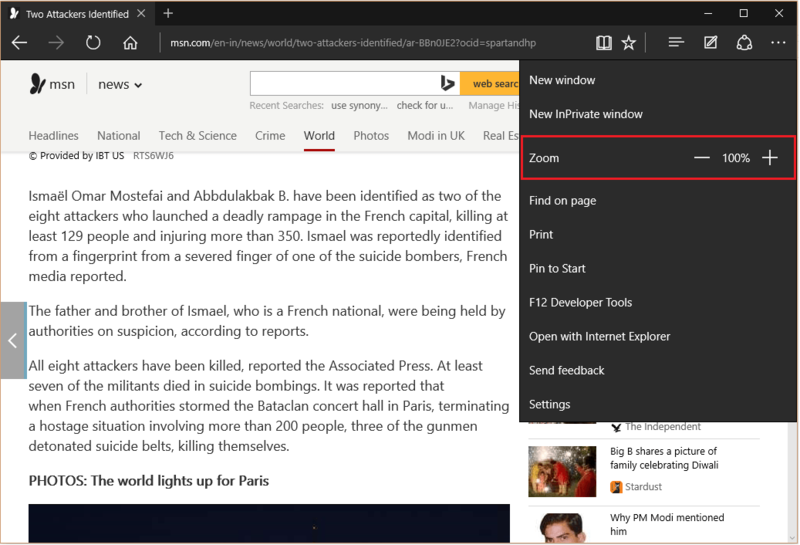 Like Internet Explorer, the Edge web browser also includes the “Zoom” feature. By using the “Zoom” feature we can enlarge/dwindle the screen size as per our needs. The “Zoom in” feature is highly useful for people suffering from readability issues. It increases the font & image size so that we can see the texts/images clearly. 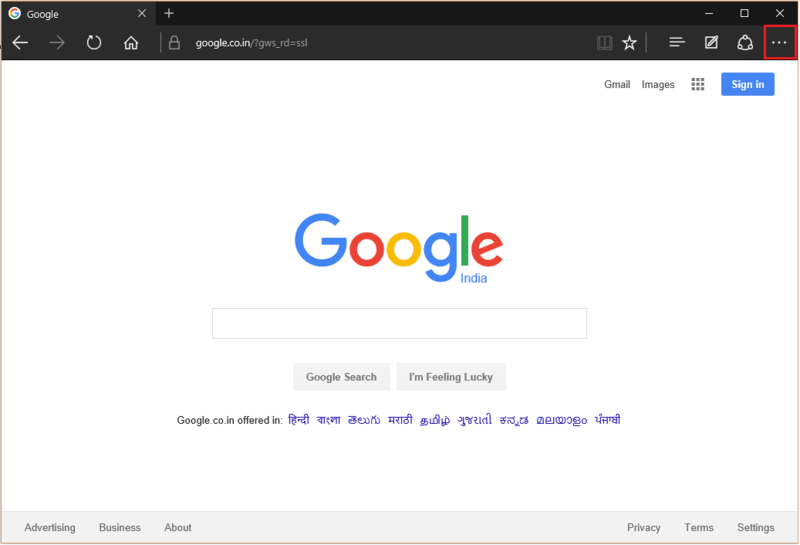 In the “Zoom out” feature, we can observe the whole web page in a single view without any need of scrolling down the page. 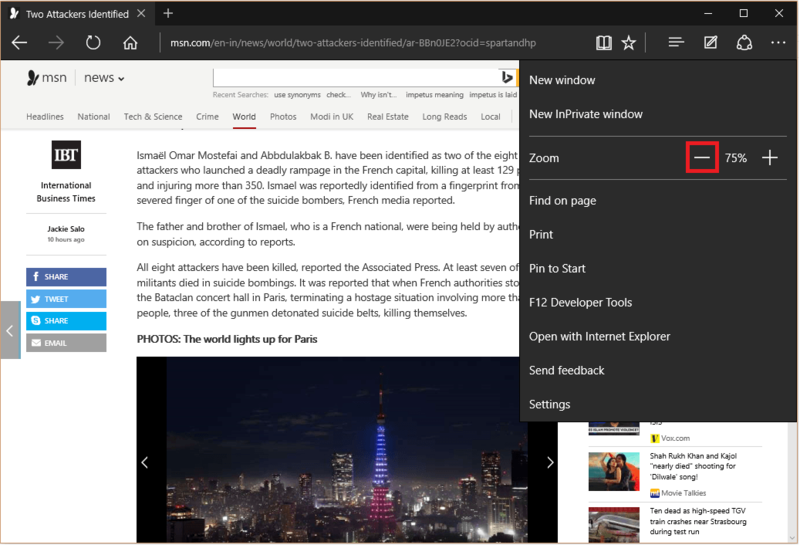 Click on the “Edge” icon to open “Edge” web browser from the Windows Taskbar. Click on the “…” (More Actions) icon. Look for “Zoom” section. By default, the screen size is set to 100%. Note: This section is responsible for handling screen size in web pages. If you wish to increase the font size (i.e. “zoom in” level), click on the “+” icon. Note: Alternatively, you can zoom in by Pressing “Ctrl” key & “+” key together. Another method is to hold the “Ctrl” key & scroll up your mouse wheel to zoom in. If you wish to decrease the font size (i.e. “zoom out” level), click on the “-” icon. Note: Alternatively, you can zoom out by Pressing “Ctrl” key & “-” key together. 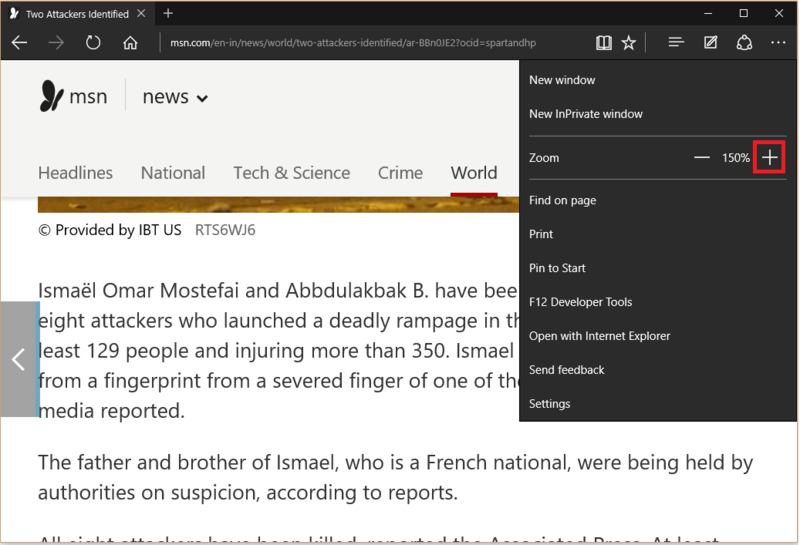 Another method is to hold the “Ctrl” key & scroll down your mouse wheel to zoom out.